Walking into a spotless home, that you didn’t have to clean, is one of the most amazing feelings in the world. 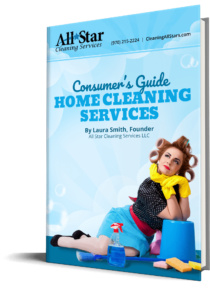 Everything is fresh and clean, and it feels like you’re walking on air… Cut to 3 days later, once a little bit of life has happened, and your house might not feel so fresh and clean. So, that leaves the burning question… How do you keep your house clean in between visits from your Fort Collins cleaning service? We’ve got you covered. Here are 4 simple tips to help you keep that “freshly cleaned by professionals” feeling for even longer! Tip 1: Focus on the main rooms. To keep things realistic, consider focusing your efforts on the main rooms of your home. The living room, dining room, kitchen, and guest bathroom are great rooms to keep clean. These are generally the first rooms that you see when you walk in your home, and if guests do stop by unexpectedly they are more likely to see these rooms than other areas of your home. Tip 2: Break up the tasks. Tip 3: Make sure everything has a place. Instead of letting things pile up, make a place for everything in your home. For example, if your mail always ends up covering your kitchen counters, set up a special mail organization spot with places for bills, invitations and letters, and a small trash can with a shredder for junk mail. Tip 4: Keep your floors clean without cleaning them. If your busy life leaves little time for daily vacuuming in your heels and pearls, simply set thick door mats at all of your entrances and have your family and guests take their shoes off at the door. Taking off your shoes when you first get home means that any dirt or debris on your shoes won’t wind up on your floors in the first place, so you won’t have to worry about cleaning the floors every day. If you still feel that your house needs extra attention long before your cleaners are due back, consider going to a more frequent clean! Give your favorite Fort Collins maid service a call today to switch to a more frequent cleaning schedule! How do you keep your house in ship shape between cleans? Leave us a comment to let us know!